Are You Using Your Ceiling Fan Properly? These are your basic water filters, usually made out of carbon. A high-quality carbon filter can remove over 80 different chemicals and organic compounds, such as chlorine, pesticides, and herbicides. 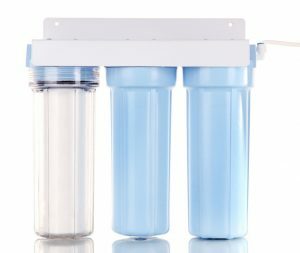 If your water test shows mild contamination, a water filter will be your best option. They’re more than capable of getting the job done as long as they’re compatible with the contaminants in your system. On top of that, they’re much more homeowner-friendly. They’re smaller and require less maintenance than other kinds of filters, so the only thing you have to worry about is replacing the filter on time. These systems should be available from any reputable Cape Coral plumber. These purifiers are extremely simple but extremely effective. Their sole purpose is to remove microorganisms like bacteria, viruses, and microbes. Carbon filters are not capable of removing these organisms on their own, so a UV water purifier is necessary. The main mechanism behind this type of purifier is the ultraviolet light bulb. It’s positioned to shine its light on all the water that passes through, thus eliminating these living contaminants. A UV water purifier isn’t good for anything but that, however, so you’ll most likely be using this system in conjunction with the carbon filter. Reverse osmosis filters can do the job of both carbon filters and UV water purifiers, making them popular choices for water treatment. Using a semi-permeable membrane and a three-step filter, the reverse osmosis filter is able to allow water to flow freely while blocking out chemicals, dissolved salts, bacteria, and viruses. Due to their versatile nature, they’re some of the most commonly requested filters, but they’re not always necessary if a carbon filter or UV water purifier alone can do the job. The downside is that all these components can take up a lot of space, making reverse osmosis systems bulkier and costlier to replace all the filters. Water softeners are actually in a different category than the above filters. These systems aren’t filters as much as they are softeners or conditioners. More specifically, what they do is remove hard water minerals from the water, including those like magnesium and calcium. The water is run through a system that separates the minerals from the water and then deposits them into a brine tank for later drainage. Why go through all the trouble? If you’ve ever had hard water in your home, you can understand why. Hard water makes it more difficult for soap to lather, can make your skin and hair feel bad, and can ruin your dishes and glassware with soap scum. Get started on your journey to clean water with a water test. Contact Bruno Total Home Performance to schedule an appointment.